Eating "Homemade Chicken Alfredo" can be very fulfilling leaving you running back for more. You probably have had some great Alfredo dishes at some of your favorite restaurants but the great thing about homemade is that you can always add your own twist to the mix. 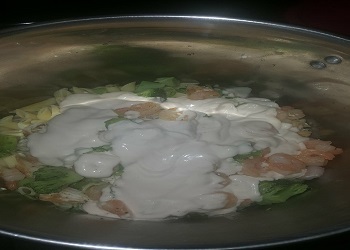 One issue I can have with eating chicken alfredo at some restaurants is that you may not get enough of a particular ingredient such as not enough alfredo sauce, chicken or noodles. 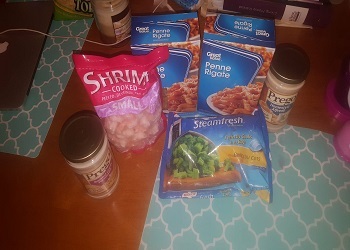 I do add in shrimp to the recipe but if you're allergic to any of that stuff feel free to omit. I'm a simple guy so sometimes I like to keep some of the recipes on the quick and easy side. The one thing we all know that makes this dish is the sauce. I opted to go with jars because I am not familiar with making homemade sauce from scratch, but "Hey" if you have a sauce you would like me to try send an email to info @ themenyuapp.com I am always down to trying new things. 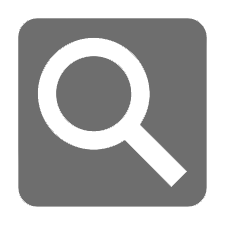 The needed ingredients to make homemade chicken alfredo is fairly simple just gather together the following below. First and foremost you want to have your chicken thawed out and seasoned with seasoning salt (lawrys), pepper and Goya adobo salt. You want to place your noodles in a big sauce pan and bring to a boil. Don't cook the noodles to long you don't want them to be mushy. 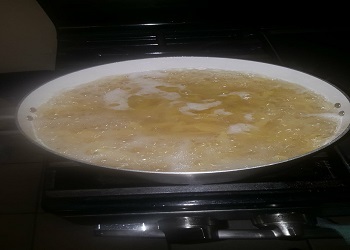 While the noodles are boiling add in a dash of salt and a little cooking oil of choice to keep the noodles from sticking. 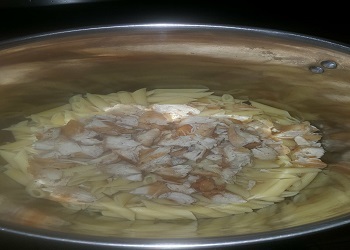 Once the noodles are done cooking drain the water and place back into the pan. 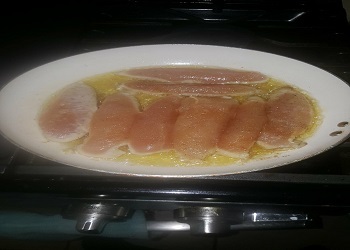 Fry the chicken breast on both sides but do not cook the chicken to long. We want the chicken to be nice tender and juicy in the inside. 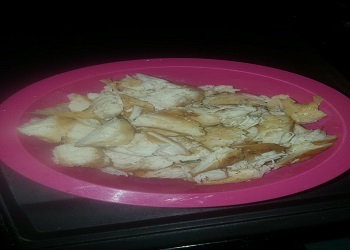 Once the chicken is done cooking, cut all the chicken up into little square pieces. 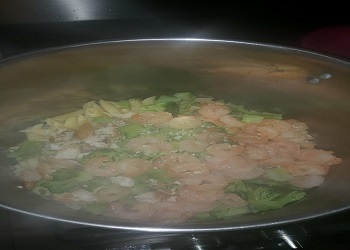 Next take a frying pan and add your butter, minced garlic and shrimp and cook for about 5 min on each side. Like I said I'm a simple guy so I have a nice simple bag of broccoli that I was able to steam in the microwave and once that was done I added my chicken breast, broccoli, shrimp and butter into large pan with the noodles. Then add your alfredo sauce and stir. 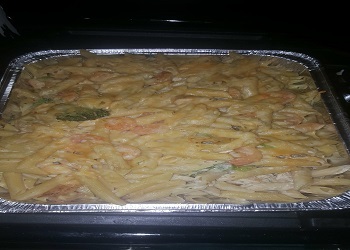 Now once everything is stirred in you are ready to go but if you like cheese on top take your noodles and place in a baking pan and add the cheese on top. 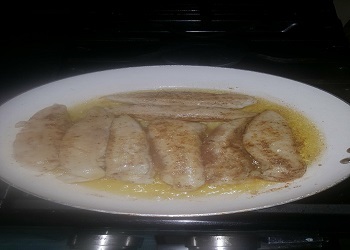 Then place the pan in the oven for about 15 to 20 minutes or until cheese melts with the oven on 350 degrees. Again I hope you enjoyed this recipe brought you buy one of the founders of the Menyu App. Again check back frequently you never know what you may see next.